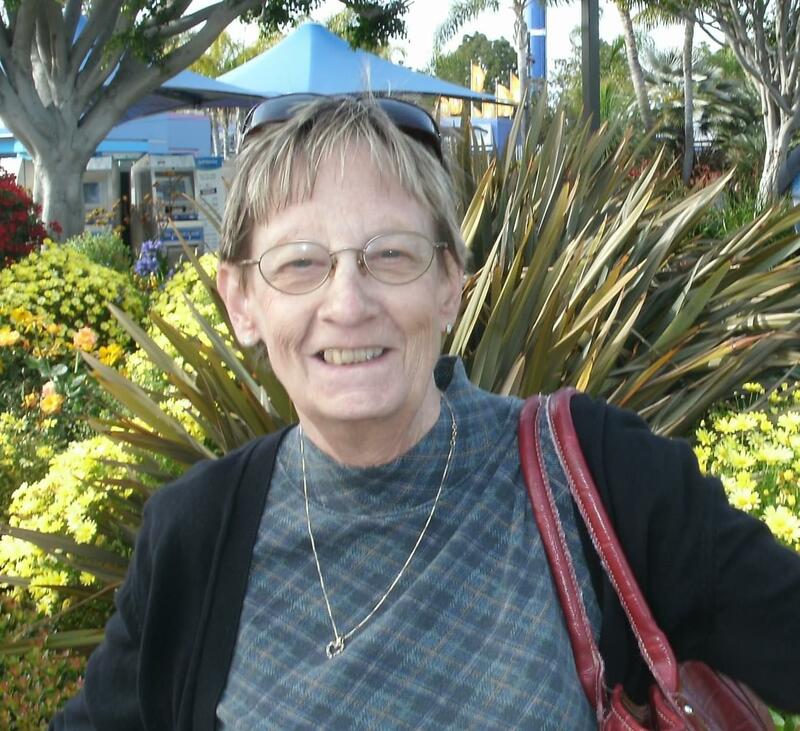 Kathleen (Kathy) Elizabeth McMillan passed away peacefully at her daughter’s home in Mesa, AZ, on January 19, 2016. She was surrounded by her family and friends. Kathy was preceded in death by her parents, John J. and Regina McBride. She is survived by her loving family: her three daughters, Laura Allen (Bob), Lisa Barinka (Shawn), and Karen Hull (Randy); her eight grandchildren, Christopher, Juan, Amber, Nicole, Aidan, Emily, Joshua, and Jacob; her two great-grandchildren, Colton and Kinsley; and her brother, John J. McBride, Jr. (Anne). Kathy was born on October 8, 1944, in Evanston, IL, and grew up in Downer’s Grove, IL. On August, 8, 1964, Kathy married Frank McMillan. In 1967, they moved to Arizona. Kathy spent her early years in Arizona raising her three daughters. She joined the outside workforce in 1980, after she and Frank divorced. Although they were no longer married, Kathy and Frank remained close friends until his death in 2014. Kathy worked for many years in the car dealership industry. While in her fifties, Kathy decided to follow her heart and returned to school to obtain credentials to work in a medical office. She continued in this field until her retirement in 2007. Kathy was a life-long sports enthusiast. There were not many sports that she did not enjoy watching. She particularly loved baseball, football, and golf. She would spend most weekends watching whatever sport was on TV, while cheering and screaming for her favorite team or player. She especially loved the Arizona Cardinals, and is, no doubt, quite upset about their loss in the Division Championship. Kathy also enjoyed spending time playing slots at one of the local casinos or taking a girl’s trip to Laughlin with friends and family. Kathy was a cherished mother, grandmother, great-grandmother, and friend. Her family and friends were the most important things in her life. She loved Sunday night dinners and traveling back to Michigan to visit Frank’s family. Her fun personality, loving presence, and feisty attitude will be dearly missed. Services will be held at All Saints Catholic Church on February 5, 2016, at 10:30am. Donations can be made in Kathy’s name to the MD Anderson Cancer Center Banner Health Foundation (602) 747-4483. https://gifts.mdanderson.org/mdanderson/main.php/micro_sites/showpage?id=28. My thoughts and prayers go out to Kathy’s girls and entire family. I am very sad to hear of her passing. Although it has been many years since I have seen her, I have many fond memories of her from my teenage years. She was always very nice to me and took very good care of her girls. I am very sorry for your loss. I don’t remember the first time that I met Kathy. I was only 4 years old when she married my older brother, Frank. I only remember that she has always been a part of my family. I will always cherish my time that I spent with her as a teenager and then again when I went to spend the summer (CRAZY) in Arizona while I was in college. She always treated me like a person not Frank’s little sister and I always appreciated that. She was kind and loving and I will miss her big smile. My love and condolences to my nieces, Laura, Lisa and Karen, their husbands, children and grandchildren. Always know that you are loved.